Tara was born and raised in Edmonton, Alberta, Canada and relocated almost two decades ago to Los Angeles. Her love for animals and an active lifestyle were a perfect fit and in 2008, she founded Hot Dog On A Run. Since then, Tara and Team Hot Dog have grown and developed Hot Dog On A Run into the most well respected pet care company in the area. Raised in Illinois, Molly has called LA home for the past 3 Years. She joined the HD team in the fall of 2017 and loves hanging out with her four legged friends every day! Molly is proud Auntie to Harley Ann, a sassy English Bulldog. Justine has spent years working with dogs. First growing up as a dog lover and owner then learning how to train dogs and correct behavioral issues. She uses these skills daily to handle some of our clients who need extra attention. Born and raised in New York, new to LA as of summer 2016. Back in Long Island she worked part time at an animal hospital/rescue as a certified vet tech assistant. In Samantha's future she wants to go back to school to become a zoologist until then she'll be walking doggies! Karlee has been passionate about dogs her entire life. If she's not at the dog beach with her two pups, then you can probably find her hiking or helping coordinate rescues from her local shelter. The passion she feels for dogs is unmatched by anything else, and she couldn't imagine not working with them on a daily basis! Surrounded by animals growing up, Traci has always had a passion for pet care. Her move to LA from Colorado 4 years ago has expanded that love, through caring for beloved pets of friends and neighbors. When she isn't exploring theater shows or creating art with others, she looks forward to walking along side these cuddly pets each day. Born in Venezuela and raised in Miami, Estee has been involved with pets since her childhood, including as a volunteer at a number of animal shelters in South Florida. A natural born dog whisperer, she has been with the company since early 2014 and has taken on the role of Walker Trainer. She is currently proud mom to little miss Minnie, pictured above, who herself also holds an important role as one of our dog socialization experts! In search of endless sunshine, Jill moved from Boston to Los Angeles in 2016. 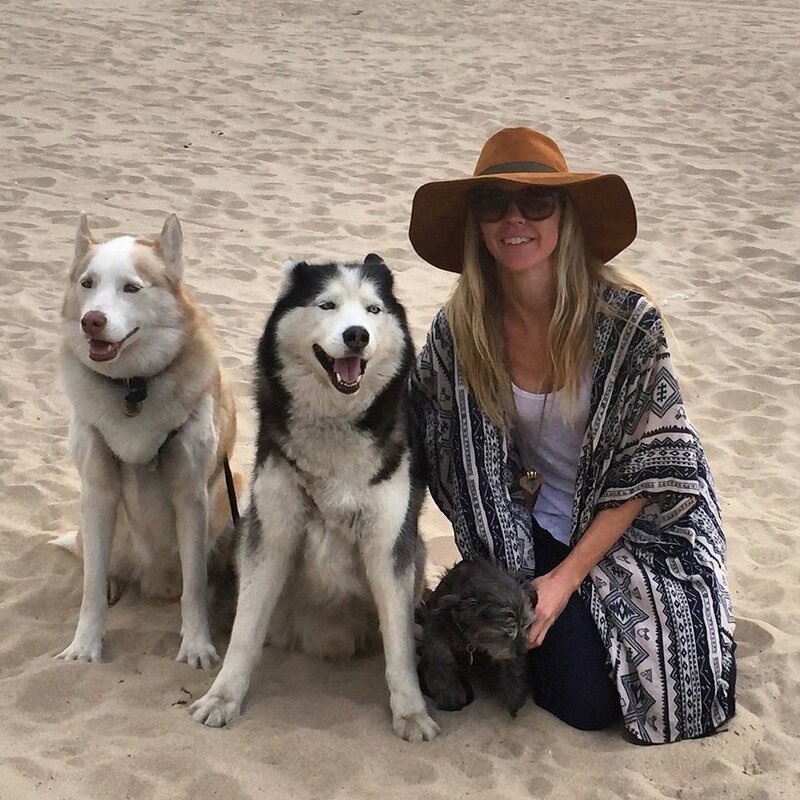 After years of pet care experience managing a dog walking company back home, she followed her passion for working with animals by joining our pack. She loves staying active while being able to spend her days surrounded by pups, especially since she misses her family dog, Roxie, everyday! Jill recently spent a few months learning programming and plans to follow a career in that field, but until then, she is happy to be out with the doggies! Stefanie followed her dreams by moving to the west coast this past year. She’s excited waking up each morning in her new home of LA, greeted by Cali sunshine and the opportunity to hang out with dogs all day! She is dog mom to the happiest Puggle, named Zeus! Joining the team mid 2015, Samantha started as a full time walker, who next transitioned to serve as the company's Office Manager until she began attending Southwestern law school full time. Luckily, she still gets to spend quality time with pups occasionally while dog sitting or filling in at the office! She would like to give a special shout out to fluff ball Sera, who has been her #1 pup since day one! Tracey has been with Hot Dog on a Run since the end of 2013. She currently works part time serving as the company's accounting pro while going back to school to become a Registered Veterinarian Technician. Dogs and canine behavior are her passion and she has 3 rescue dogs of her own.